The Golden Bird is an intriguing story from a collection of Grimm’s fairy tales published in 1812. 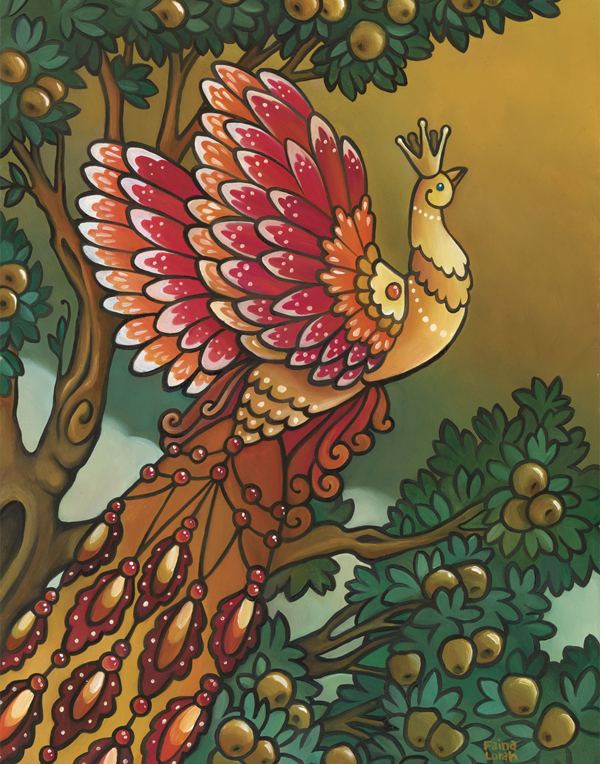 This fairy tale refers to a mythological creature called a Firebird. It is commonly described as a large bird with splendid feathers, which glow brightly like the sun. It sometimes resembles the appearance of a peacock or phoenix. The most notable difference between the Firebird and a phoenix is their regenerative powers. Read a firebird fairy tale here!